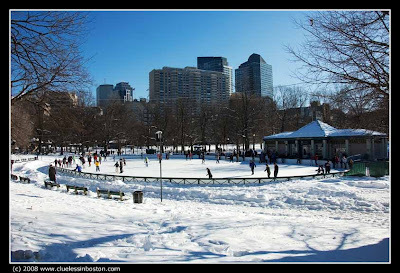 Ice skating on the Frog Pond in Boston Common. Great shot of skaters outdoors! It's a rare site these days. :) How well I remember this spot from my carefree, younger days. Thanks for the reminder.